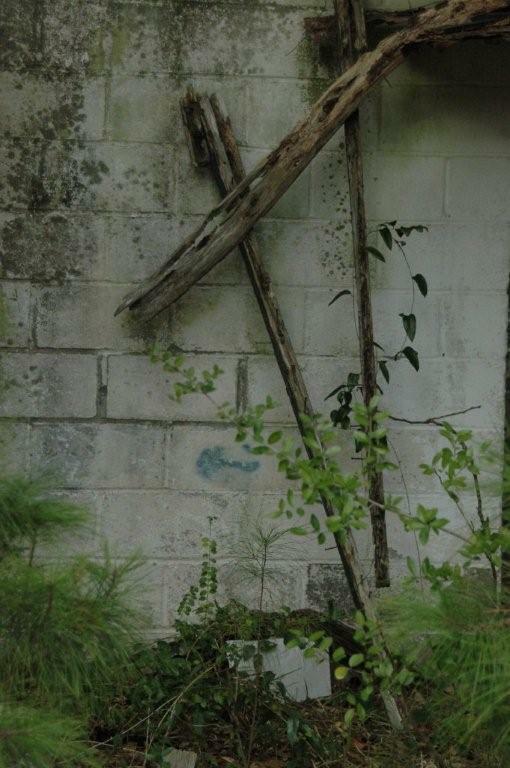 I wonder if The Water Walker, the stretched out on the cross Christ came down into my Advent heart what He would find. 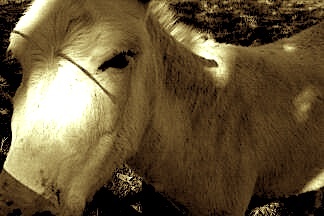 I feel dirty as the dusty donkey that his parents road into town in the dark cold night, looking for warmth. And I passed a woman lonely at Walmart a few weeks back that I had known, she walks a lonely road herself and I didn’t speak. When I had a mouth that works my heart did not. I left her there without a touch of grace, not even a hello. So I could be the keepers of the inn whose heart would turn away the Mary and the Joseph of today. Looking for warmth and a place to birth the King of Kings. And I wonder if He were to walk in as I am covered up in paper and plastic if he would speak gentle correction and have me strip it all away. And say the tree with glitter shiny looks like excess in a world of want. That you can peel it all back and find just bone and flesh and marrow and beating hearts and Him and that is celebration enough. But then you’d have to peel back all the stuff, the boxes and the bows. And so I wonder if He were to knock like Carol did a few weeks back, the Jehovah’s Witness at my door, what He would find that pleases Him of my preparing Advent heart. And if He were to shadow me in all my ways during all my days leading up to the 25th day of next month, what would he say of me. How when I walked the dog I hoped the neighbor didn’t speak because I wasn’t feeling particularly friendly at that moment. Too cold and focused on getting on with my selfish life. Yes, I could be the innkeeper who’d turn away Messiah, if I’d turn away a neighbor on a cold November Day. I wonder as a wander down the days leading to His birth, how I could prepare like a knower of and lover of and believer in Him. How I could honor Him and bless Him and glorify Him in all, that’s ALL I say and do, my every breath my every word, my every deed. I simply wonder what the Knower of All and Lover of My Soul is beholding, of me and my house and my heart this Christmas Season. I pray for grace. And I pray for eyes to see anew, all the Wonders of His Love. Its a season of miracles and I long for the miracle of a worthy Advent heart, perfected at the Hands of a Stable Born King. And a heart to seek and speak and love like one who knows better. Today I am participating in a five-minute writing excercise with others here. And I ask for forgiveness because it is highly likely I ran over five minutes. Colored outside the lines….got grace? What a great reminder! I really love the line about loving like one who knows better. Those of us who are Believers do know better and too often we act just like people who don’t even know Jesus. Great post! You have put into words the aching of my heart these past few days. That beautiful project that we crafted together? It left my heart so vulnerable this week. And in that open space, the Spirit has descended, oozing into all the places raw and revealed. It is in this state that I enter into Advent and I am, at once, broken and believing. This is what I am clinging to as I walk forward into that dark night. Elizabeth, wow, my friend. What an echo for me, as well. The line Holly mentioned is the very one that brought me to my heart’s knees. Yes, may I truly know this. To strip it all away is to find broken ones and beating hearts and the One who makes whole, come so so humbly. Thank you, darling one, for this beautiful, humble reflection. I’m so glad you joined up with FMF! Wow… I can totally relate to the feelings and the thoughts that you are describing. It’s so easy to fall into that… and sometimes, maybe not out of selfishness, but our own insecurities, or running short on time, or having no extra funds to help the callers who are constantly asking for help by phone and feeling guilty… Love your analogies to advent and all the truth here that whispers from His heart. “I feel dirty as the dusty donkey.” Oh yes, me too. We like to think we would never turn Him away at the inn door, but as you told so well, we do – and more often than we think. A very encouraging and challenging post – well worth the overflow of your five minutes. Thank you. Oh, my word….you were able to write out my heart thoughts. Thank you for your post. Elizabeth…friend…I’m not sure I’ll ever get over this post. Oh Nikki, this was written for me from me to me. I wonder…..thanks for hearing my heart and reading along. Bless your Advent. Look forward to walking towards Christmas with you. I agree with Nikki! Stunning words and powerful images about the Creator, Himself.